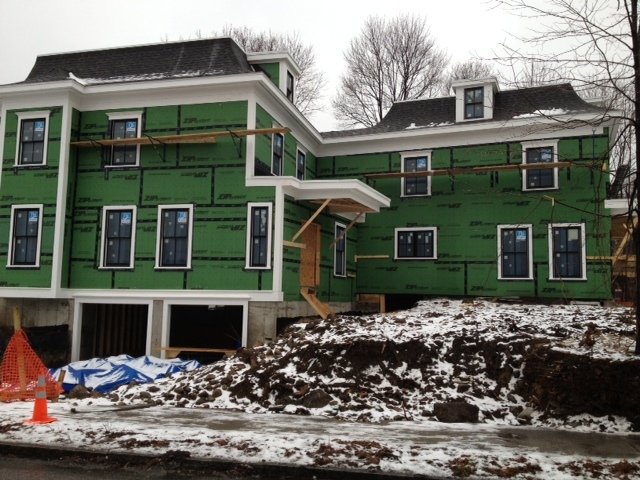 2 new construction townhomes are nearing completion at the corner of Waltham & Webster. Both townhomes will have 3 beds, 2.5 baths, 2,800 sq/ft, garage parking & roofdecks. The townhome on the left is already under agreement, the townhome on the right is available for $1.099M. 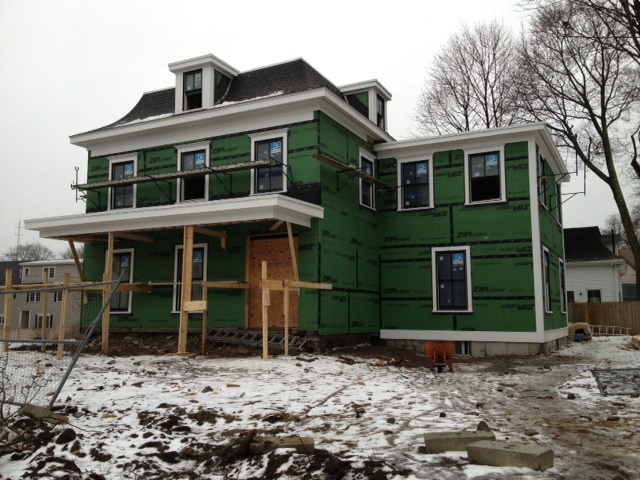 According to MLS & Public Record, 19 Randlett did not close as scheduled in late January. The home was listed for $649k and an offer was accepted last August. The home never closed, however, and has now been removed from MLS. For those of you that don’t already know, I’ve been lobbying with my wife (hereinafter referred to as Management) to renovate our kitchen since we bought the house in 2009. I’ve approached Management several times regarding the renovation and been rebuffed each time. Management’s position is that a renovation will make a huge mess and take too long. It will cost too much money, Management says. So planning is underway. All we know at this point is the yellow formica & linoleum floor need to go. I’ll keep you guys updated on our progress. 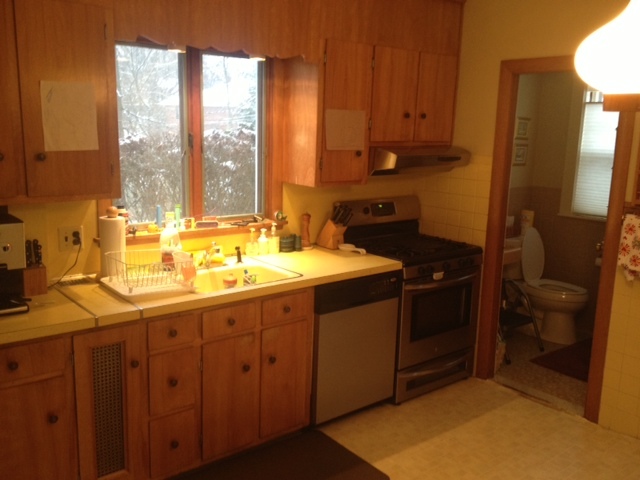 Bathroom was designed so you could sit and talk with the chef. Temps are expected to plunge this week with arctic air headed our way. While our homes have been around for 80-90 years and seen a lot of cold winters, they don’t have much insulation and aren’t very energy efficient. Adding attic insulation can help keep your bedroom level warmer and energy bills down. I know what you’re thinking: here he goes blogging about insulation again — what is this guy’s deal? Does he need help? Possibly. I think about insulation a lot, but it’s not effecting my work or marriage. Yet. Adding insulation to your attic slows/prevents heat from escaping through your roof. 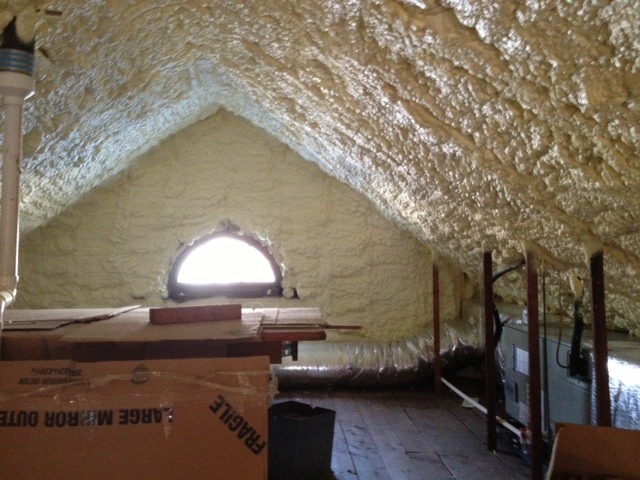 We had our attic insulated with open cell foam (7″ thick) through Mass Save in 2011. Energytech Solutions completed the job in 1 day for $4,700. The Mass Save rebate was $2,000 — so total cost to us was $2,700. In 20 years, the EPA will probably decide this stuff is toxic and a danger to our children. Sorry guys – not enough snow. Watching this storm closely, you guys. Tomorrow could be the 1st Annual Snow Throw Challenge. 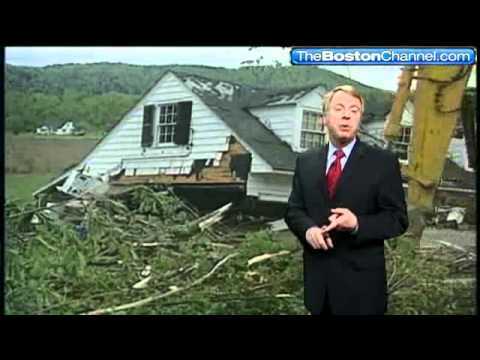 Typically I work out of my office downtown, but today I’ve moved over to the WCVB studios and am working with Mike Wankum and the Storm Team. Tricky storm we have here. The Storm Team is all over this though. Doppler updates on the quarter hour. Tracking high & low pressure systems. Wanks is talking a lot about the Norlun Trough. But I didn’t go to MIT so I don’t know what he’s talking about. Just nodding a lot. What I do know is this: if we get 6″ of snow tonight/tomorrow — it’s on. If Wanks green lights the challenge for tomorrow, I will let you know tonight. Stay tuned. Wanks and another one of his home renovation projects. Would love to share work that others have done to their homes. 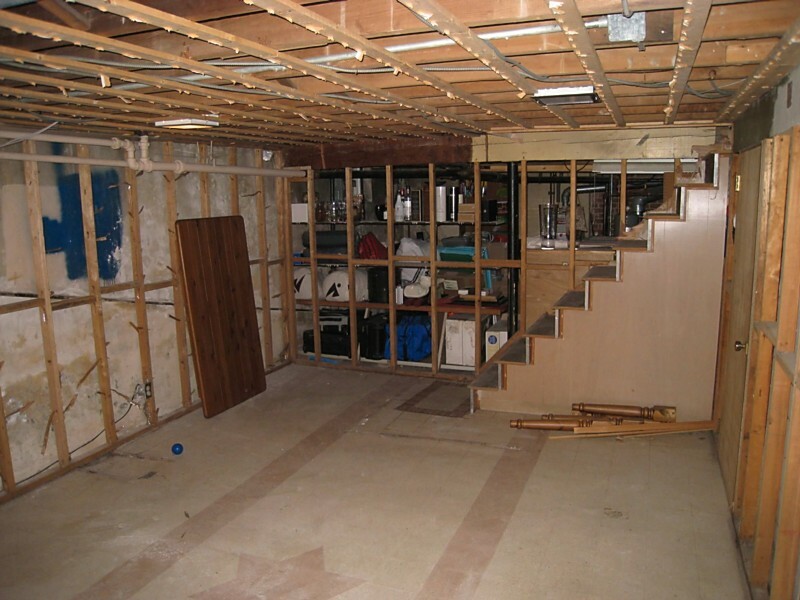 If you’ve undergone a renovation or made an improvement that others could benefit from — let me know! Just need a short paragraph describing the work and a pic or two.